The Indian Society for Study of Xenobiotics (SSX®) is pleased to announce its inaugural conference in Bangalore, September 1-3, 2016. 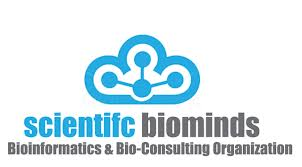 Sarvasumana Association in collaboration with Azyme Biosciences Pvt. Ltd. conducts International Conference of Public Mental Health and Neurosciences. SciGenom Research Foundation (SGRF), National Institute of Mental Health and Neuro Sciences (NIMHANS) & The Institute of Bioinformatics (IOB) are pleased to host the 2014 NextGen Genomics & Bioinformatics Technologies (NGBT) conference in Bangalore, India. With November 2014 coming along, it is time for the 3rd conference on Geriology, Geriatrics Medicine, and Rehabilitation titled "INTERNATIONAL CONFERENCE ON HEALTHY AGEING IN THE CHANGING WORLD 2014." Understanding immunology and mechanisms underlying immunological responses is the key to immunotherapy. A 5-day course involving classroom presentations and hands-on analysis pipeline execution with sample data sets.